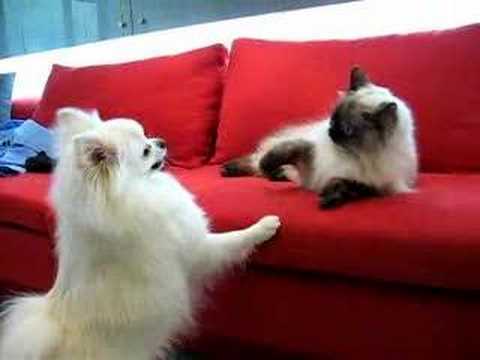 There are 4 cat videos tagged with fighting. 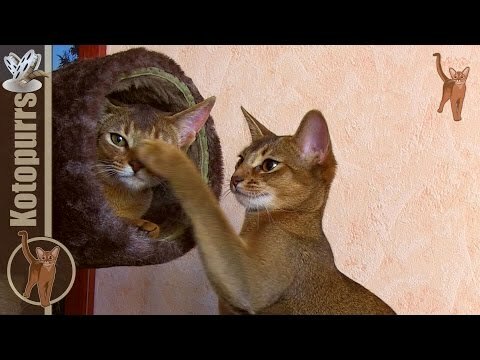 This pair of adorable Abyssinian cats play with each other while in a tube, like most cat pairs would do! 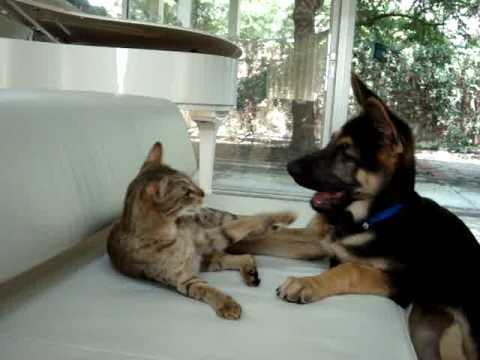 They go in and out, on top of and just play and play! 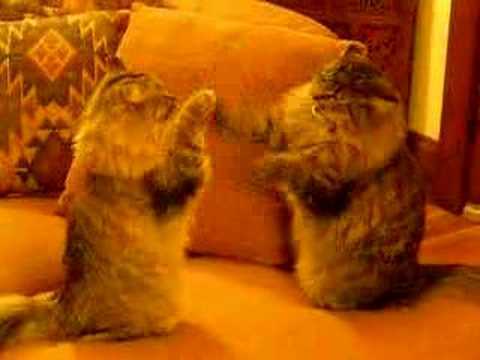 Two longhaired cats play patty cake (pat-a-cake) in what appears to be a little more violent version of the game.